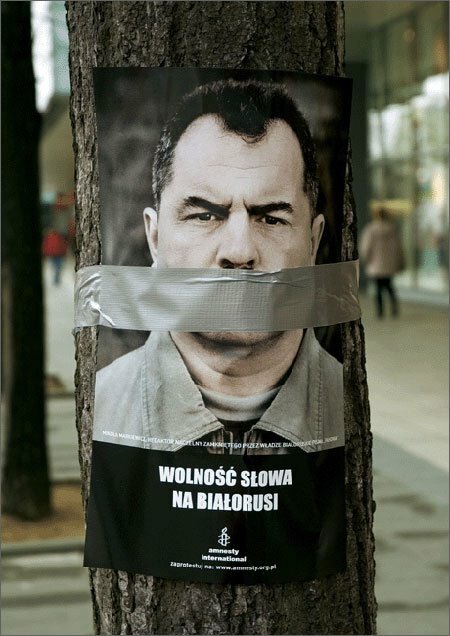 Copy in Polish reads: "Free Speech to Belarus". For Amnesty International by Saatchi. Spotted by Frederik Samuel, who's been on the roll lately.